Australian government says knife terrorist in Melbourne was inspired by ISIS but did not have a direct link to the group. 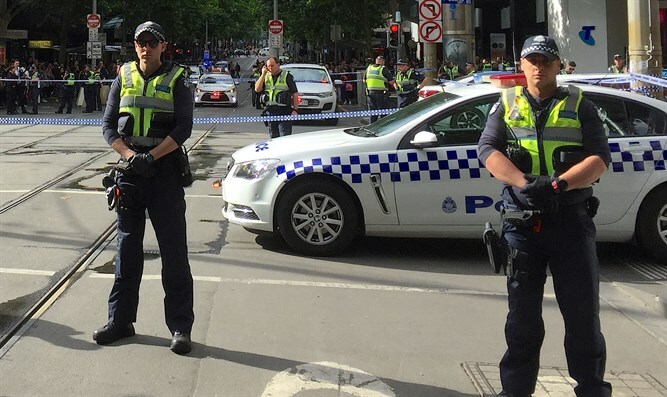 The Australian government said Sunday that a Somali-born Australian who went on a deadly knife rampage in the country's second-largest city of Melbourne was inspired by Islamic State (ISIS) but did not have a direct link to the jihadist group, AFP reports. The man, Hassan Khalif Shire Ali, stabbed to death well-known local cafe co-owner Sisto Malaspina and injured two other men in Bourke Street in the heart of Melbourne on Friday afternoon before he was shot and killed by police. The 30-year-old had gone to the city in a utility vehicle filled with gas cylinders before setting it alight. ISIS later claimed via its propaganda arm that Shire Ali was an "Islamic State fighter and carried out the operation", but provided no evidence to back its claim. "In relation to his connections with ISIL (another name for ISIS) or with any terrorist group... there's not, as I'm advised, a membership of an organization or a definite link to ISIL," Home Affairs Minister Peter Dutton told reporters in Brisbane on Sunday. "The working theory is at the moment a case where this person has been downloading information or receiving messages in his own mind about what he should be doing. It's inspired as opposed to affiliation or membership," Dutton added. Shire Ali, known to the Australian Security Intelligence Organization (ASIO), had his passport revoked in 2015 on fears he was trying to travel to Syria to join ISIS, but he was also assessed by authorities as not being a domestic threat, according to AFP. Dutton defended the actions of ASIO, saying they had more than 400 investigations and people of interest to monitor. "Police did not have intelligence in relation to this person that he was about to commit an act," he added. "The fact is that many people, particularly where there is a low level of sophistication, where you have someone who can grab a knife from a kitchen drawer... it is impossible for authorities to cover every one of those circumstances," said Dutton. Australia, which like many countries has been threatened by terrorist attacks, raised the terror threat alert level to high in September of 2014. That month, it arrested 15 terror suspects who were planning to behead a random member of the public in a campaign of terror. An Islamic State (ISIS) sympathizer had planned to buy a gun and kill as many revellers as possible on New Year's Eve in Melbourne's popular Federation Square. He was detained before he could carry out his plot.